After an unbroken run of entries sticking to the topic of cycling, I’m going to fail for the 2nd time in succession. I’m going to write about not riding. But at least in this case, the not riding part is still at least relevant to cycling. For the event that I will not be riding is this weekend’s Cape Town BRM 200. 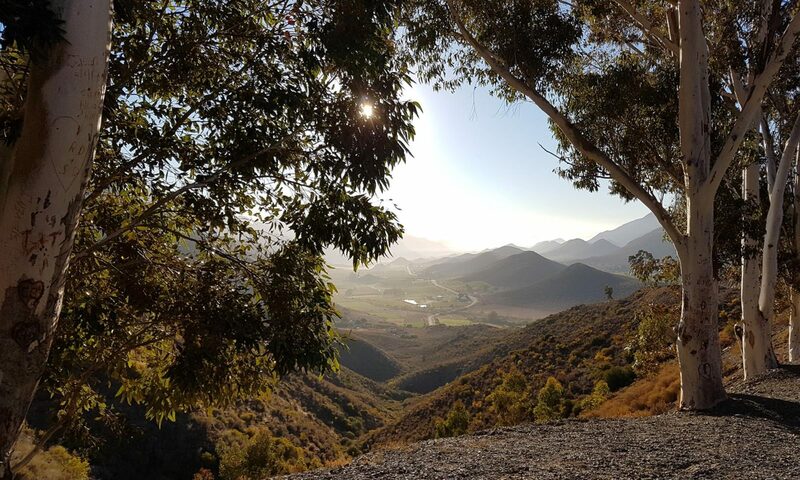 It’s the first of four rides that a number of us have been working on for some months – a complete 2014 SR Series for local Western Cape randonneurs and PBP aspirants. I’ve known since we first planned the calendar that I would miss one of the first two events – Yoli’s 20th High School re-union was pencilled in for the same date as either the 200km or 300km rides. It’s an important event for her, and she already gives up a lot for my riding, so I’m not bitter in any way over it. Just slightly sad to not be there on the day with Anthony, Nico, Henri, Peter and the guys who have worked in planning the event these past months. Even more ironically, Yoli’s re-union is in Joburg – where Eddie is running an Aurasan BRM 200 on the same day as our inaugural 2014 Cape Audax. I didn’t even try and suggest to Yoli the idea of taking a bike along for the trip, although as I sat on the plane up I did wonder if I’d I missed an opportunity. I may have to delete that last sentence before Yoli gets a chance to read it. At this stage it looks like around 15 riders will be taking part in the ride, which seems a pretty fair turnout. The numbers have been buoyed I’m sure by riders looking to get in some extra long distance training for November’s Double Century in Swellendam. It’ll be interesting to see how the turnout for the longer brevets compares. Instinct suggests that we’ll slowly whittle down to the handful of us who are attempting to qualify for PBP next year. I did get a chance to meet with Eddie whilst up in Joburg – to at least chat about cycling, and share in that most essential of cycling experiences, a darned good cup of coffee. Ostensibly we met up so I could collect the medals for the BRM 200 finishers, but the caffeine and banter were of course far more important, and took much longer than would have been necessary for just the exchange. It was a great chance to get to know Eddie, our South African Audax co-ordinator, a little better. Mixed in between first and then second cups of the magic bean were stories of LELs, PBPs and Scottish Audaxes ridden because of the handsome Club Ecosse jersey for finishers. Even more impressive though than Eddie’s cycling history is how well he belies his age. Based on the energy and enthusiasm he throws into the local audax scene, and our one previous meeting at the 600 in March I’d have given him at somewhere just over 70. I nearly choked on my cappuccino when I learnt he’s actually 84 – and already has his entry for next year’s Argus. I’ve often joked about riding Argus’s into my 90s, but here’s someone I suspect may actually manage to do just that. He laughed at my description of the mad scramble to get my entry for this year: sat in the passenger seat of a rental car heading to our friends Riku and Erika the day before nervously watching the laptop screen hoping that my 27,292 place in the Q would translate into an actual chance to enter. It did, luckily, but only within an hour or too of the ride selling out. None of that for Eddie, as a club 21 rider his Argus was assured weeks ago! So for a weekend of not riding, I did in fact manage to have a fair amount of cycling activity. Now, as we head back on the plane I’m thinking of the guys riding our 200. It will be a familiar route for most of them, minus the spur out to a control at the Spa in Darling. 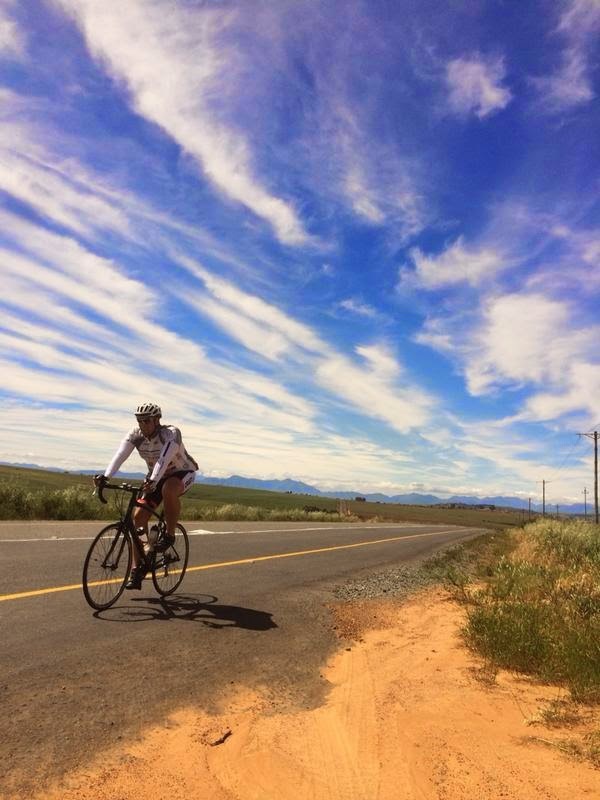 I rode that section on last year’s Yzerfontein outride – it’s pleasantly scenic, but in a wind can be challenging and has enough rollers to test tired legs. Hopefully all the guys will have managed their pace well though, and so won’t be suffering any of that. They’ll be 9.5 hours in by now, which for most of them will mean they’re on the last stretch home and looking forward to the final brevet signature at our Cape Audax base camp: Vrede Wines. Rider photo courtesy of Anthony Doman – more can be found online at his Twitter feed.